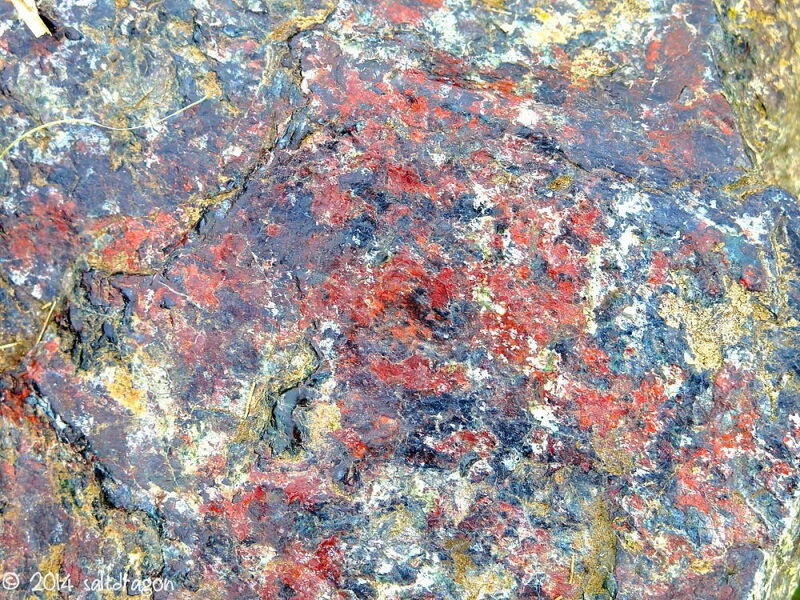 The Lizard in Cornwall has outcrops of serpentine rock that contain many colours and create beautiful, natural patterns. In places the rocks have been polished as people sit on a rock bench or trample down a narrow path to a beach, each stepping on a particular rock. This image is of a rock forming part of a style near Predannack to join the South West Coast Path just south of Mullion Cove. It has been worn smooth by numerous pairs of walking boots but although it will have been seen often, it probably doesn’t ever get looked at. There’s no surprise there, it’s competing with a very dramatic, wild coastline! 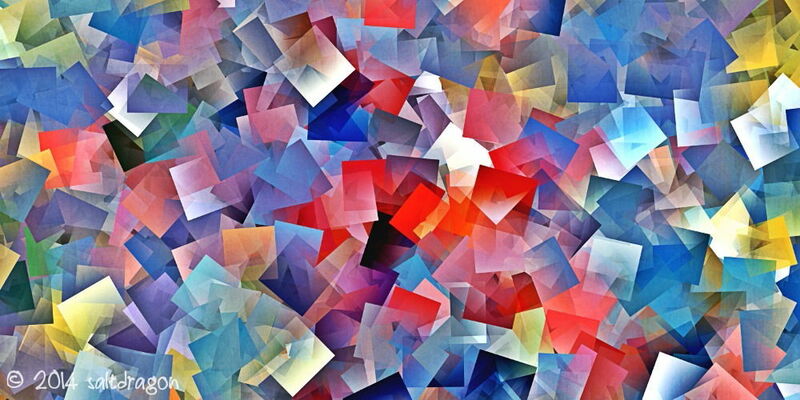 The original image shown alongside was interesting enough but transforming it into semi transparent cubes has given it an abstract nature I like.